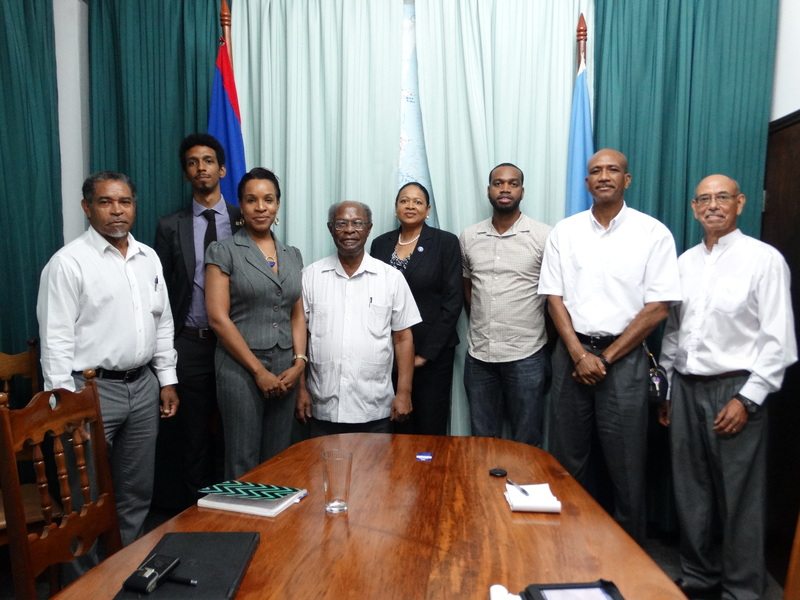 (L-R) Keith Nichols, Project Development Specialist, CCCCC; Alexander Girvan, Caribbean Sea Commission Coordinator; Tricia Barrow, Political Advisor; Dr. Kenrick Leslie, Executive Director, CCCCC; Dr. June Soomer, Secretary General, ACS; Dr. Donneil Cain, Project Development Specialist, CCCCC; Vincent Peter, Project Development Specialist, CCCCC; Carlos Fuller, International and Regional Liaison Officer, CCCCC. Belmopan, BELIZE: May 31, 2017 – Dr. Kenrick Leslie, Executive Director of the Caribbean Community Climate Change Centre (CCCCC) and Dr. June Soomer, Secretary General of the Association of Caribbean States (ACS) discussed collaborations on a range of issues when they met at the Centre’s office here on Monday, May 29, 2017. Dr. Soomer, and her team paid a courtesy call on Dr. Leslie and his team, and took the opportunity to discuss areas of future cooperation and dialogue. In reviewing the scope of work and responsibilities of both organisations, both Drs. Leslie and Soomer agreed that the region could benefit if both organisations coordinate for the advancement of areas such as eco-systems based management, the development of scientific tools and data to aid climate change adaptation measures and on programmes that would help regional leaders to make more informed decisions. Dr Soomer pointed to the organisation’s recent signing of a US$4 million grant from South Korea to assess and control the impact of coastal erosion and sea level rise in some member states. The grant is being used to do work in countries like Jamaica where CCCCC is also doing coastal protection work with KfW, the German Development Bank. “The Centre along with the Caribbean Development Bank are now able to access financing to help the countries of the region prepare for the effects of climate change”. The Centres’ work, Dr. Soomer told the meeting, aligns itself to the ACS’ goal to take the achievements of the region to the rest of the world. Caribbean also has a lot to teach the world, she said, noting that in the case of small organisations like the CCCCC and ACS, “pooling the resources, can do a lot for the region”. Dr Soomer’s team also included Ms. Tricia Barrow, Political Advisor and Alexander Girvan, the Caribbean Sea Commission Coordinator. Dr.’s Leslie’s team included Mr. Keith Kichols, Dr. Donneil Cain, Mr Vincent Peter, project development specialists, and Mr. Carlos Fuller, International and Regional Liaison Officer. The ACS is a grouping of countries of the sharing the Caribbean Sea. The organization provides a framework for cooperation and dialogue to further the economic integration, intra-regional trade and investments to improve competitiveness of its membership. 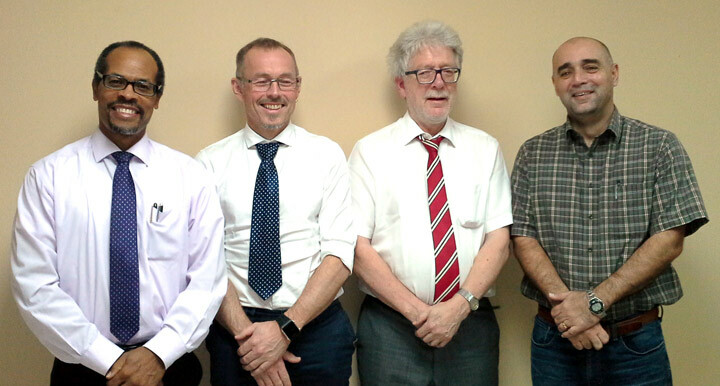 The Caribbean Regional Fisheries Mechanism (CRFM) and the Government of Norway have launched a two-week mission to explore the development of a regional technical assistance project to be funded by Norway. The project would support the region’s fisheries and aquaculture sector by strengthening evidence-based management. Principally, the engagement between Norway and the CRFM Member States will focus on building human resource capacity, institutional capacity, and the accuracy and volume of fisheries data and information, with an emphasis on pursuing the ecosystems approach to fisheries development and management. 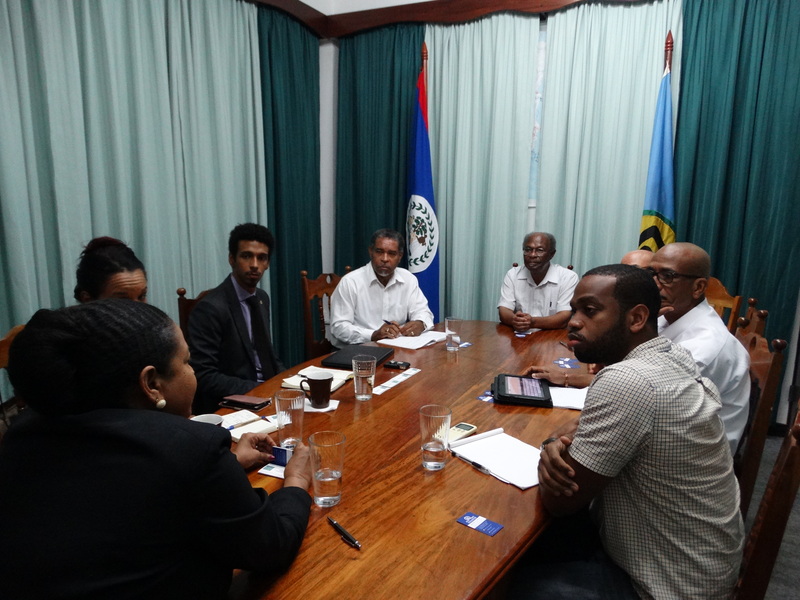 While in Belize, Høines and Williams had a chance to dialogue with H.E. Daniel Guiterrez, Belize’s Ambassador to CARICOM; Hon. Dr. Omar Figueroa, Belize’s Minister of State in the Ministry of Agriculture, Fisheries, Forestry, the Environment and Sustainable Development and Climate Change, as well as Fisheries Administrator Beverly Wade. On a very dry November 2013, Jamaica’s Meteorological Service made its first official drought forecast when the newly developed Climate Predictability Tool (CPT) was used to predict a high probability of below average rainfall in the coming three months. By February, the agency had officially declared a drought in the eastern and central parishes of the island based on the forecasts. July’s predictions indicated that drought conditions would continue until at least September. Said to be the island’s worst in 30 years, the 2014 drought saw Jamaica’s eastern parishes averaging rainfall of between 2 and 12 per cent, well below normal levels. Agricultural data for the period shows that production fell by more than 30 per cent over 2013 and estimates are that losses due to crop failures and wild fires amounted to US$1 billion. Jamaica’s agricultural sector accounts for roughly seven per cent of the island’s gross domestic product (GDP) and employs about 20 per cent of its workforce. It was also used but the National Water Commission (NWC) to guide its implementation of island-wide water restrictions. A technician with Jamaica’s Met Service, Brown designed and implemented the tool in collaboration with Simon Mason, a climate scientist from Columbia University’s International Research Institute (IRI) for Climate and Society with funding from the United States Agency for International Development (USAID). “The tool provides a Windows package for constructing a seasonal climate drought forecast model, producing forecasts with updated rainfall and sea surface temperature data,” he explained. The innovation was one of the first steps in building resilience under Jamaica’s national climate policy. It provides drought-monitoring forecasts that allows farmers to plan their planting around dry periods and has been “tailored for producing seasonal climate forecasts from a general circulation model (GCM), or for producing forecasts using fields of sea-surface temperatures,” Brown said. The tool combines a number of applications including Google Earth and localized GIS maps, to generate one to five day forecasts that are country and location specific. The information is broken down and further simplified by way of colour-coded information and text messages for the not so tech-savvy user. The tool designed by Brown and Mason also incorporated IRI’s own CPT (designed by Mason) that was already being used by Caribbean countries with small meteorological services and limited resources, to produce their own up-to-date seasonal climate forecasts. The new tool combined data on recent rainfall and rainfall predictions to provide a forecast that focused specifically on drought. “It was important for us to design a system that addressed Jamaica’s needs upfront, but that would also be suitable for the rest of the region,” Mason noted. The scientists explained, “Because impact of a drought is based on the duration of the rainfall” and not only the amount of rainfall, looking forward is not enough to predict droughts because of factors related to accumulation and intensification. “What we’re doing is essentially putting a standard three-month rainfall forecast in context with recent rainfall measurements,” Mason, told USAID’s publication Frontlines last May. He noted that if below-normal rainfall activity was recorded during an unusually dry period, indications were there was a “fairly serious drought” ahead. Sheldon Scott from Jamaica’s Rural Agricultural Development Authority (RADA) told IPS that farmers who used the SMS information were able to avoid the worse effects of the drought. “The impacts were visible in relation to farmers who used the information and others who didn’t, because those who did were able to manage the mitigating factors more effectively,” he said. During the period, more than 500 farmers received text alerts and about 700,000 bulletins were sent to agricultural extension officers. Risden lost the corn she planted on the 13-acre property in Crooked River, Clarendon, one of the parishes hardest hit by the drought with only two per cent of normal rainfall, but was able to save much of the peas, beans and hot peppers. Six months after Jamaica’s Met Service made its ground-breaking forecast, the CIMH presented the first region-wide drought outlook at the Caribbean Regional Climate Outlook Forum in Kingston. Now 23 other Caribbean and Central American countries are using the tool to encourage climate change resilience and inform decision-making. “Regionally the tool is now a standard fixture across several countries within the region, including the Dominican Republic, Cuba and Haiti. This regional effort is coordinated by the CIMH,” Brown said. The CPT is now also used to provide regular monthly bulletins that are published by the Meteorological Service on their web site www.jamaicaclimate.net. RADA has also continued to use the CPT in its extension service, to enhance the ability of farmers’ and other agricultural interests to improve water harvesting, planting and other activities. Since most of the island’s small farms depend on rainfall, more farmers – including those with large holdings – are using the information to better manage water use and guide their activities, Scott said. Local and intentional scientists have linked the extreme atmospheric conditions related to the droughts affecting Jamaica and the region to the persistent high-pressure systems that has prevented the formation of tropical cyclones to global warming and climate change. Across the agricultural sector, Jamaica continues to feel the impacts of drought and the challenges are expected to increase with the climate change. In a 2013 agricultural sector support analysis, the Inter-American Development Bank estimated, low impact on extreme climate events on Jamaica’s agriculture sector by 2025 could reach 3.4 per cent of “baseline GDP” annually. In fact, the Intergovernmental Panel on Climate Change Synthesis Report (AR5) pointed to tools like the CPT to mitigate the impacts of climate change. Its importance to Jamaica’s and the region’s food security and water sector cannot be overlooked. In addition to adaptation for the water sector, the CPT is being modified to provide early warning indicators for wind speeds and coral bleaching among other applications, said the report. And as showers of blessings cooled the land and brought much relief in the closing months of the year, CPT shows the drought could well be over. British Prime Minister David Cameron has set aside £5.6 million (US$8.4 million) of its overseas aid budget to go towards improving fishing in the Caribbean and other small island states. Among the 25 Commonwealth small island nations set to benefit are: Barbados, Bermuda, Jamaica, St Lucia, Trinidad and Tobago. Cameron said the money will be provided from next year to target developing maritime economy plans, with additional funding on offer for future years to help these countries implement their plans. Cameron said the package would support small island countries to preserve their marine environments – often a primary source of income for these countries – and tap into maritime resources to catalyze economic development in a sustainable way across Commonwealth countries. The funds are part of a wider £26 million (US$39 million) package – that will address climate change issues – which the UK leader announced at the just ended Commonwealth Summit in Malta, ahead of the climate change summit in Paris which runs until December 11. It includes £15 million (US$22.5 million) to fund disaster insurance for Pacific islands to help countries get quick access to funding aid if they suffer a natural catastrophe; £5 million (US$7.5 million) will assist poor states with natural disaster prevention plans; and £1 million (US$1.5 million) to help raise money for infrastructure projects. The fourth meeting of African, Caribbean and Pacific (ACP) ministers in charge of fisheries and aquaculture was held in Brussels from 22 to 23 July 2015, preceded by a meeting of senior fisheries officials on 20 and 21 July. It provided an opportunity for the ministers to take stock of progress made in implementing the strategic action plan for fisheries and aquaculture, which was adopted in Nadi, Fiji in 2012, and to agree on the way forward to ensure the sustainability of aquatic resources with a view to wealth creation and development in ACP countries. More than 60 ACP member states are engaged in the export of fish and aquaculture products to regional and international markets, although these countries provide only 3% share in value of the global fisheries trade, worth US$150 billion per year. At the conclusion of their meeting, the ministers adopted a roadmap for the implementation of the strategic action plan, calling for mobilisation of adequate financial resources and close collaboration with partner institutions which provide support to ACP fisheries sector, among them the EU, FAO, IFAD, UNIDO and the World Bank, to ensure effective implementation. Given the negative impact of climate change on the fisheries sector, the ministers called specifically on the international community to agree to outline concrete, ambitious actions to reduce the effects of climate change during the 21st session of the Conference of the Parties (COP 21) to the United Nations Framework Convention on Climate Change (UNFCCC), which is scheduled to take place in Paris from 30 November to 11 December 2015. In light of the persistence of illegal, unreported and unregulated (IUU) fishing and piracy, the ACP ministers also urged the international community to cooperate more closely with ACP countries and to provide financial and technical support for the efforts made at the national and regional level, to curb and eradicate these two extremely serious problems. The ministers recommended developing aquaculture, the economic development of the fisheries sector as a means for creating decent jobs, especially for youth and women, as well as the preservation of aquatic biodiversity. They agreed to implement plans for the development of aquaculture and appropriate fisheries management measures in compliance with international agreements. The ministers also stressed the need for coherence and appropriate policies among regional economic integration organisations and regional fisheries organisations to achieve this aim. The ministers directed the ACP Secretariat to seek technical assistance and financial support from development partners, specifically the European Union, to strengthen ACP fisheries sectors and their national health and food security agencies to enable them to comply with increasingly stringent health requirements. The ministers also agreed that the European Union should provide support to the ACP fisheries and aquaculture sector, through appropriate measures, to cope with the erosion of preferential tariffs for ACP fish exports to EU markets, and to support the ACP Position on Fisheries subsidies negotiations in the WTO negotiations. How to raise awareness about the effects of climate change, particularly amongst the youth? Grenada might have found the answer! 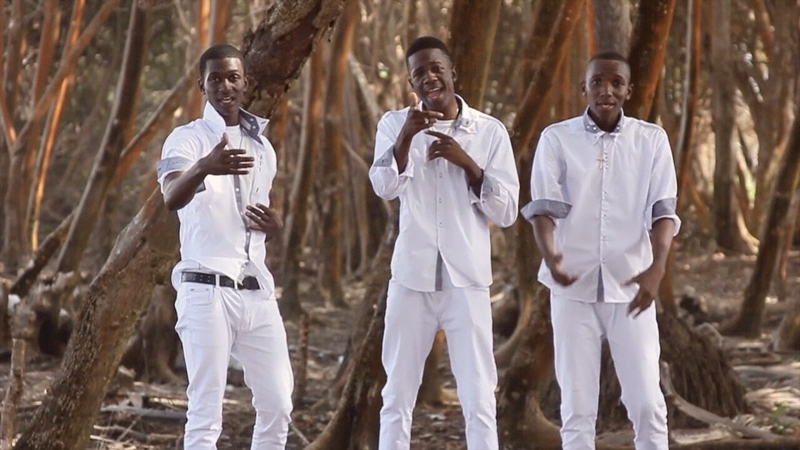 On Wednesday, 15th October, the Grenada Ministry of Agriculture, Lands, Forestry, Fisheries and the Environment, in conjunction with the German Agency for International Cooperation (GIZ) unveiled a recently produced music video which will champion climate change awareness activities in the Isle of Spice, particularly amongst the youth. After only three days the video was clicked more than 1500 times on YouTube. 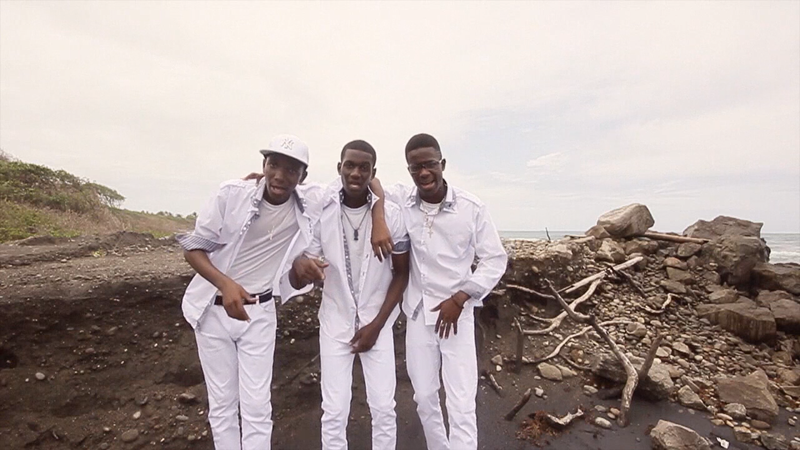 The song, entitled “Can’t Do This Alone”, was written by three budding young artistes, Jevon “Avonni” Langaigne, Elon “Eclipse” Cambridge and Edison “Swipe” Thomas. 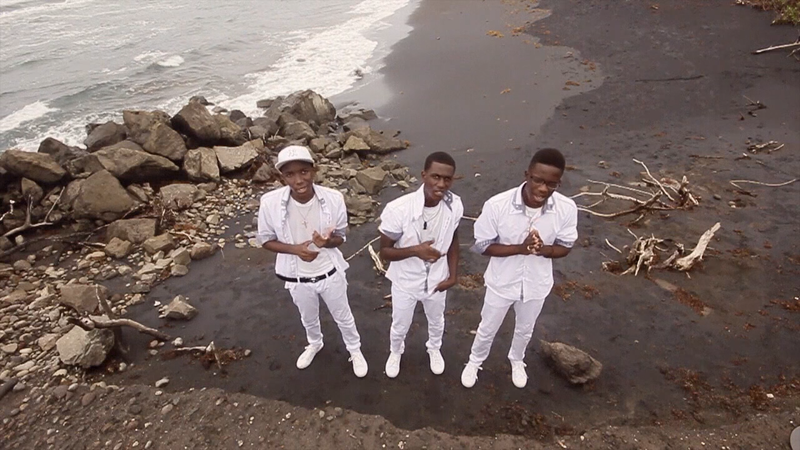 The music video was commissioned by GIZ and produced by Arthur Daniel, with the assistance of the Grenada True Blue Bay Boutique Resort. The video was produced under the Integrated Climate Change Adaptation Strategies (ICCAS) project, which is currently being implemented throughout Grenada, Carriacou and Petite Martinique. The overarching goal of ICCAS is to increase resilience of vulnerable communities and ecosystems to climate change risks. New is the integrated and cross-sectoral approach of the project: Instead of only implementing isolated measures, the project offers an integrated approach by linking local activities with national policies and sector-specific experiences with comprehensive intervention packages. For example, at the national level, the project supports the institutionalization of a systematic risk analysis by using the Caribbean Climate Change Online Risk and Adaptation Tool (CCORAL), a seminal tool produced and managed by by the Caribbean Community Climate Change Centre. An important role for the success of the project is the involvement of the local population through a “Community Adaptation Fund” accessible for tangible, visible adaptation action on the ground. Finally the project supports Grenada in gaining access to longterm funding for adaptation measures. This comprehensive approach should serve as a “good-practice” example for other countries in the region. The ICCAS project is funded by the German Federal Ministry for the Environment, Nature Conservation, Building and Nuclear Safety under the International Climate Initiative (IKI) and jointly implemented by the Government of Grenada, Deutsche Gesellschaft für Internationale Zusammenarbeit (GIZ) and the United Nations Development Programme (UNDP).